UPDATE: Cohen has entered a guilty plea and will face up to five years in prison for a series of charges. NEWS: Cohen just described, in court, how he violated campaign finance laws by arranging payment for Stormy Daniels and Karen McDougal. He said he violated federal law "in coordination with and at the direction of a federal candidate for office" Meaning Trump. Michael Cohen, President Trump's former and longtime lawyer, is expected to plead guilty to a number of charges in a New York City federal court room Tuesday afternoon. Per @KaraScannell, Cohen isn't flipping, he's just agreeing to plea guilty. 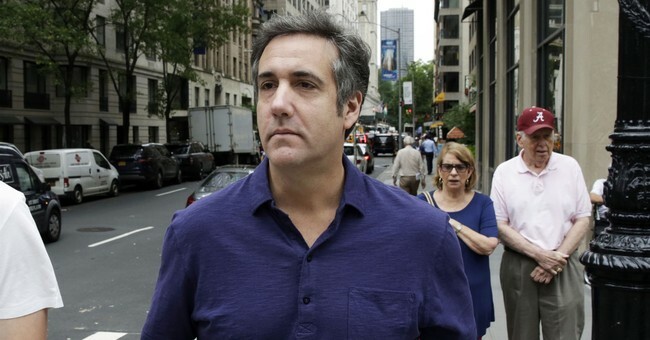 Michael Cohen has surrendered to the FBI ahead of a 4p court proceeding where the government is expected to disclose a plea deal, according to a law enforcement source, per @ShimonPro. In April, FBI agents raided Cohen's New York City law office and hotel room where he was staying. He has not been indicted on any charges, although prosecutors are reportedly looking at his business finances very closely and he'll likely get nailed for tax fraud. Meanwhile, the sentencing date for former White House National Security Advisor Michael Flynn has been postponed and a jury in Alexandria, Virginia continues to deliberate over charges against former Trump campaign chairman Paul Manafort.